Elegance and style comes at the same place when you shop from the romwe and there is no compromise with the quality and this is the thing which tempted me to order some more items from the romwe store. 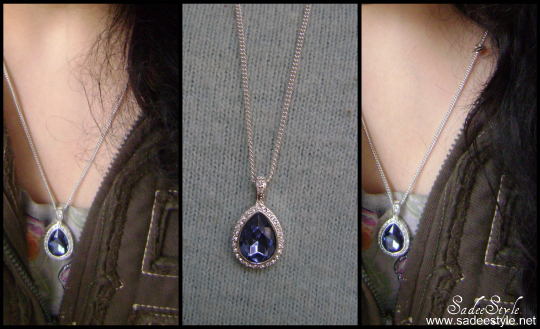 i was completely satisfied with my previous purchase so this time i have chosen this elegant looking Double-layers Necklace. Lets Start with the little introduction of the store, Romwe describe as latest street fashion online and romwe is famous among fashion lover because of their wide range of Apparel, heels, handbags, jewellery and some other girl accessories but i always go to romwe for their jewllery which is very unique, stylish and versatile. 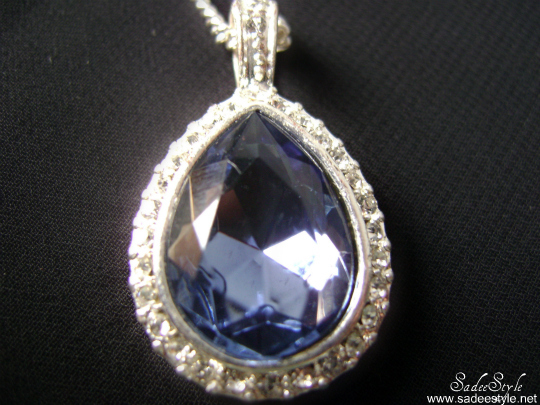 I Simply love this beautiful pendant, very unique in style comes with most beautiful double lock chain with a tear shape blue jewel which enhance the beauty of the pendent. 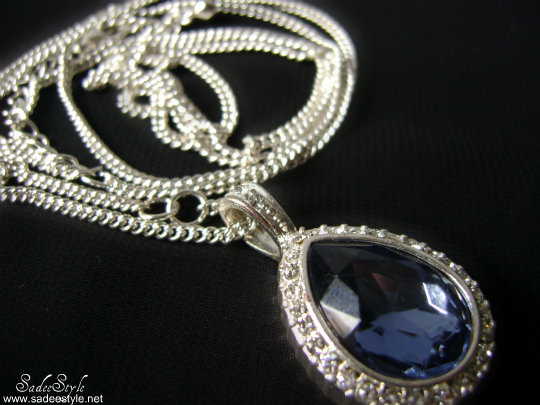 Its suitable for different occasions you can wear it on day the time or for the nigh out also I like the idea of double lock chain mean you can wear it as a necklace or a long pendent as you like to. I got so many compliment while wearing this so defiantly gonna recommended. 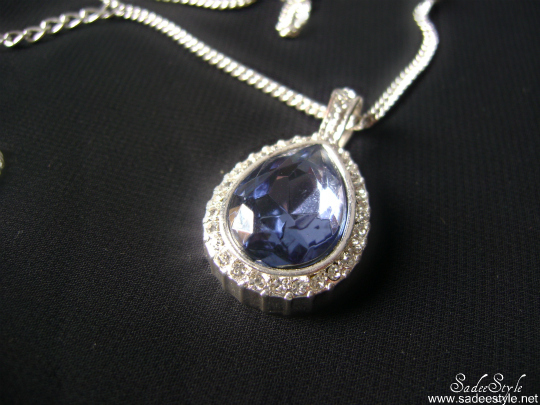 Necklace featuring a pendant with a tear shape blue jewel and detailed carving,long style and fashion design. Fabric Alloy Washing To maintain appearance and condition, avoid contact with liquids and perfume. Woww, it's beautiful <3 <3 You bought this from Romwe? can we get it in pakistan? Great blog! I follow too! 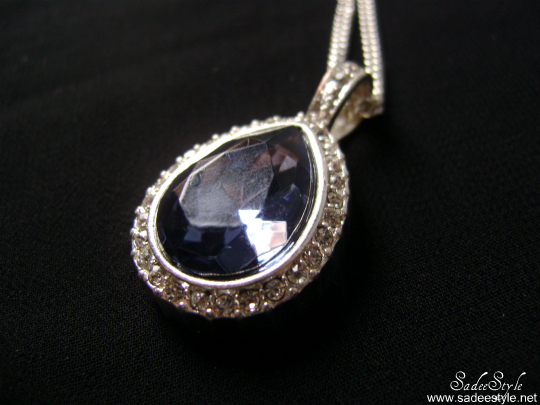 Precious necklace ;-) follow your blog now hope you visit my blog again and follow back. very pretty!I follow you too! looks fantastic! but... what with results of romwe giveaway? that is absolutely stunning!!! $10.99?? are you kidding?? I thought it was in the thousands!!! Thanks for visiting my blog. That necklace totally reminds me of the one from the Titanic. I love this one! i am already following you since quite sometime!!! very pretty! looks so universal and cute!